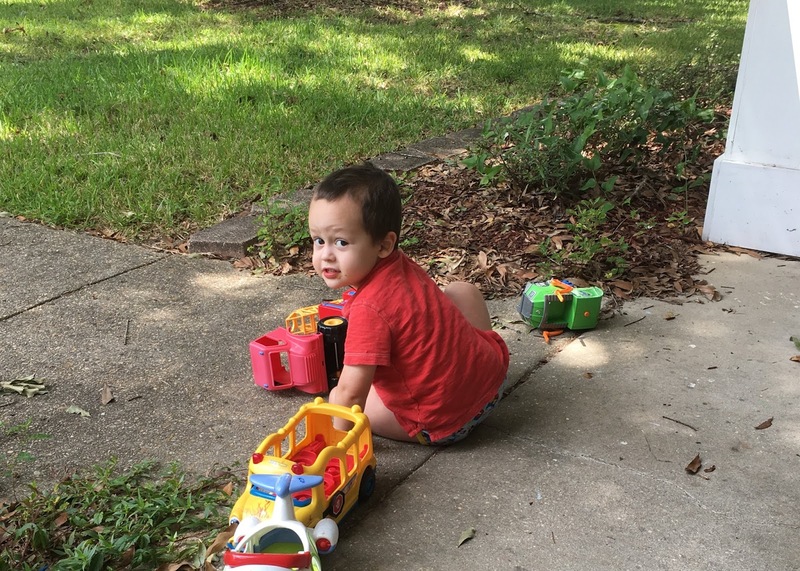 When my son Shepherd was about 18 months old, we started receiving services for him based on some developmental delays. (You can read more about dealing with delays here). We had an "Early Intervention Specialist" named Lindsey who came to our house weekly to work with Shepherd. One of the tools she gave us to work with Shepherd through some of his frustrations was the "first, then" strategy. This tool completely changed the game for me when it comes to parenting toddlers. 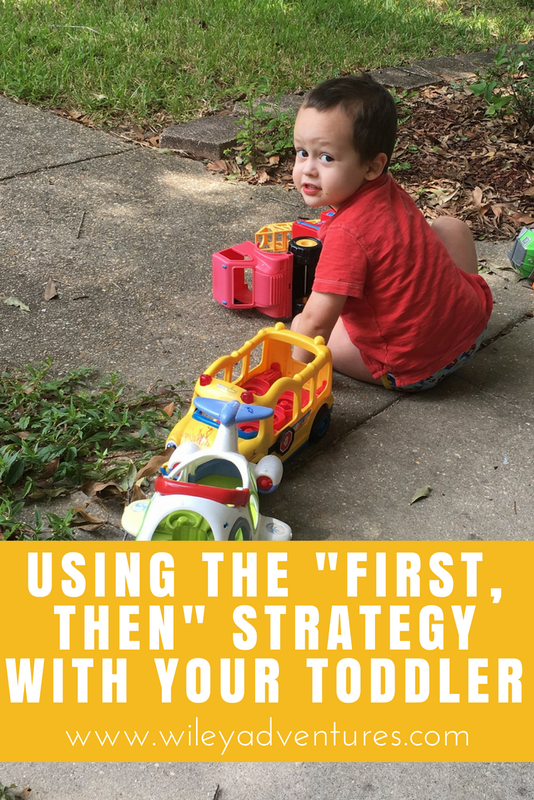 The "first, then" strategy is a tool to help address these demands without directly giving in to them and still being able to stay in control of the situation as the parent. The easiest example of how to use this is with eating. The toddler demands a cookie when he hasn't eaten his dinner. So your response would be "FIRST each your dinner, THEN you can have a cookie". Another one, your toddler wants to play with their trucks but it's time for bath. "FIRST bath, then you can play trucks". And then you have to follow through with it. Don't give the cookie if they don't eat their dinner. Don't give the truck until after bath. But right afterwards, be sure and follow through and give them what they wanted first. This can take a week or two of consistent use before you see the benefits, but it works because you are using the currency they give to help accomplish the tasks in your day that you need them to do. By making their demands, they are telling you what the best reward for them in that moment can be. We have seen such benefit in preventing tantrums and this method is also a great way to teach delayed gratification. Toddlers are the best example out there of the "I want what I want and I want it now" mentality. It's when they first learn it. By utilizing this strategy it teaches them that it is ok to want things, but we don't always get what we want right away or without working for it. This has become such a common part of our parenting vocabulary now that it is almost second nature. And the benefits of it have been so great for us. After a while of use, each of our kids have picked up on the vocabulary and respond quickly in a favorable way! Hopefully this can help some of you in the toddler trenches as well!